Why Industrial Oil Analysis On-site? Monitoring the lubrication systems of plant equipment is critical for optimizing performance and reducing machinery downtime. On-site oil analysis supports condition monitoring by providing immediate answers regarding the condition of any lubricated equipment. It ensures the proper lubrication of equipment and it provides early detection of wear and helps with contamination control. The table below demonstrates the array of tests recommended for a wide variety of industrial equipment, and their individual maintenance needs. There are some tests that are universally suggested, no matter the equipment. An example is testing for water content, as it is a major issue for many equipment types. Pumps and motor bearings that are oil lubricated, whether self contained or circulating, are going to have a series of tests associated with them. Water content and viscosity are two key tests that should always be tested for when dealing with pump and motor bearings. Oxidation is an important test because it will indicate the chemistry of the oil, which is important when deciding whether the oil is still fit for use, or if it must be changed. Ferrous density is the next suggested test because it will show if there are any large wear particles, similar to how elemental spectroscopy will indicate small wear, contaminants and additives found in the oil. 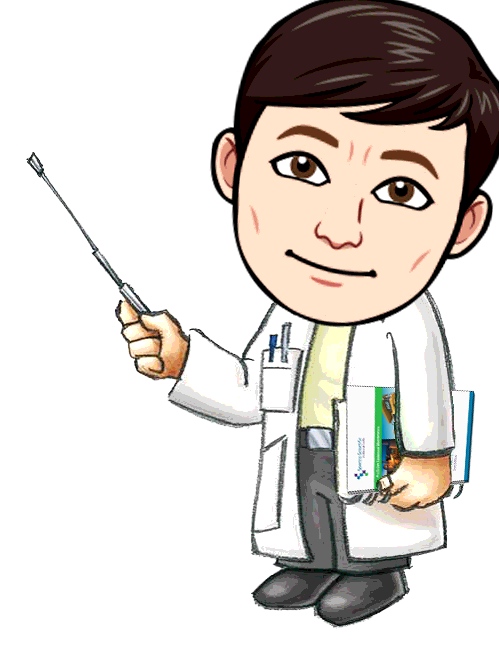 Both particle count and ferrous particle count tests are only recommended if there is a filtration system, otherwise it is not needed. Drives and gears have very similar testing recommendations as pump/motor bearings. 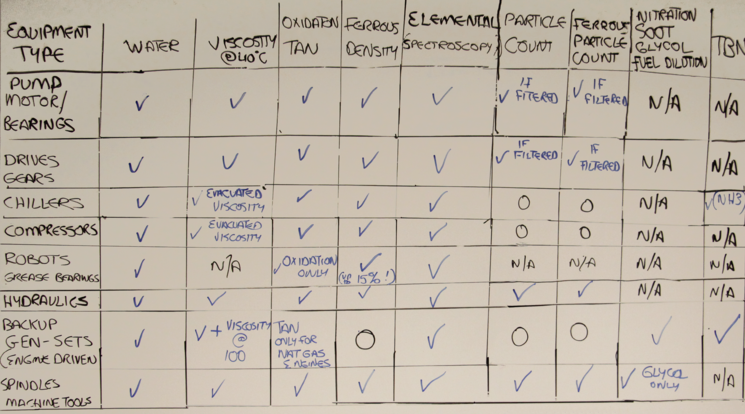 However, there is a much higher focus on the particle count and the wear size. The reason is systems involving drives and gears are usually subject to different load and duty cycles, depending on the process flow in the industrial facility. Because of this, the wear is not always consistent, and the rate in which the wear occurs may change. Having advanced notice on how much wear is present in the oil can help keep tighter control over the limits and prevent it from becoming an issue. 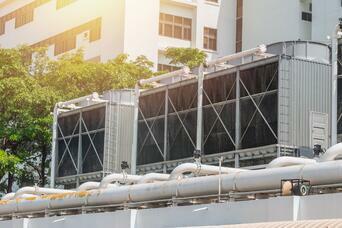 Compressors and chilled air are becoming increasingly important for most processes. Many of the above mentioned tests apply when talking about compressors and chiller systems. It is important to note that when testing for viscosity on these systems, it is key to remove the refrigerant from the oil before testing. This is known as evacuated viscosity. If the refrigerant contains ammonia then a total base number test may be applicable as well. 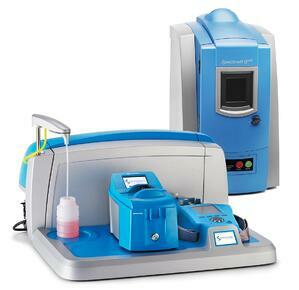 Robots are very popular and are expanding their capability for fluid analysis, particularly for grease analysis. In situations with grease on these systems, it is important to test the water content and oxidation of the grease, as well as looking at ferrous density. Ferrous density can be as high as fifteen percent iron especially because the material is not moving away. Elemental spectroscopy is another important test to perform because it can inform whether the grease is the right grease in terms of additive package, and indicate if there are any signs of corrosion. When it comes to hydraulics, all of the typical tests (water content, viscosity, oxidation) apply, although there is a particular focus on the cleanliness of the system. 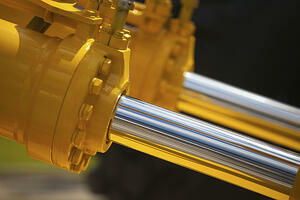 Since hydraulic fluid transmits power, filtration is a key component in a hydraulic system. Particle count plays a major role in making sure these filtration systems stay clean and clear so the system can operate at it's maximum efficiency. Servo valves are so tight now that even particulate in the 4 micron size will have an effect on the system. When it comes to backup gen sets and engine driven systems, viscosity testing is a must. Multi-grade oils tend to be measured at 100C; 40C is also tested at field level, and if VI is provided, extrapolated viscosity is reported. For spindles and similar machine tools, the common tests such as water, viscosity, oxidation, and ferrous density should always be tested because that's indicative of wear that is present in the system. Keeping up with the wear created within the system will help increase the longevity of the machine itself and will reduce the amount of downtime caused by a build up of the wear and machine failures. For all of these various tests and equipment, the MiniLab Series is the best solution due to its customization. There are different models that range from the very basic model, the MiniLab 23, to the most advanced model, the MiniLab 153. Because of the flexibility within these packages, it is easy to pick and choose which one is right for you and the equipment you handle on a day-to-day basis. In all situations, the reason why we do these tests is because we want to reduce risk. Reducing risk not only improves KPI's and lowers insurance costs, but more importantly it improves the safety of the working environment for the workers. Today, more holistic approaches are being brought to the work environment that still require the reliability but are more focused on safety.